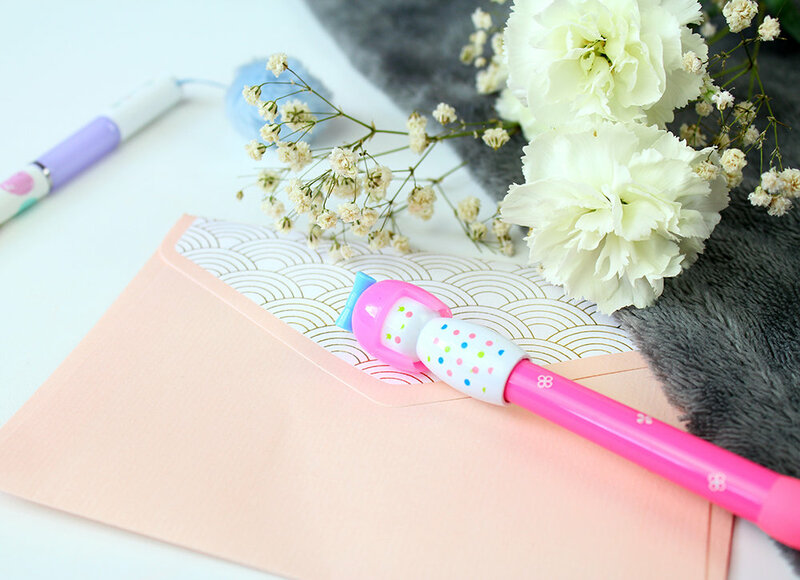 I have a list of my top five beauty brands EVER, and GOSH are always up there (I’m sure I’ll turn the list into a blog post soon). GOSH are a high quality, cruelty free, beautiful brand that keep their prices consistently fair, AND have the greatest social media reps (go follow them and see what I mean); so it’s easy to see why I rank them so highly. 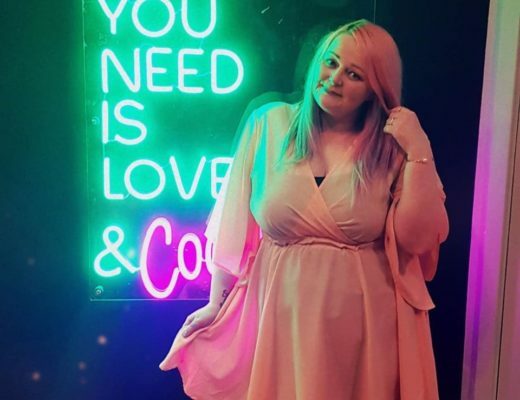 So recently, I was invited to the very exciting GOSH SS17 event in London, to see the amazing new array of products they’re offering. AMAZING EH??? 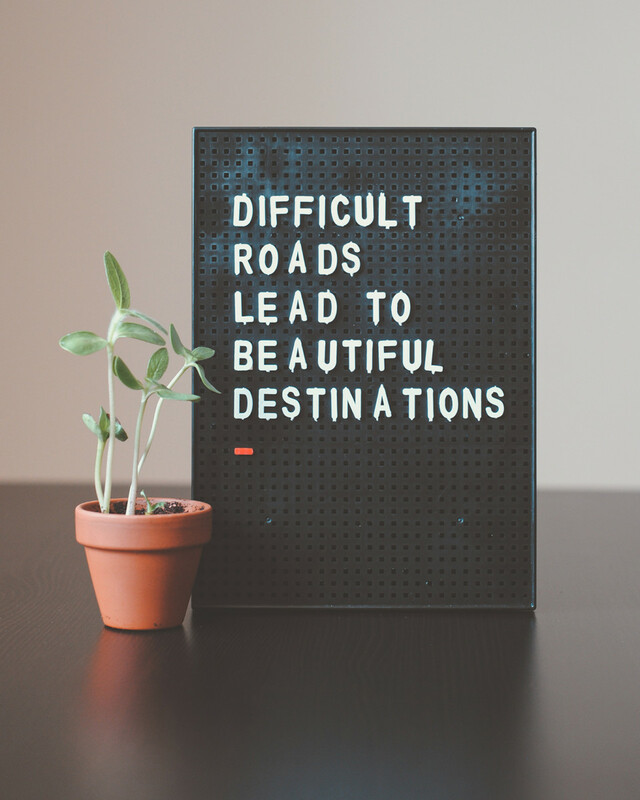 Well yes, but I couldn’t go. WAHHHHH (seriously I felt SO so low). If I’d had a lot more notice I may have been able to afford the travel down, and accommodation for the evening; however it just weren’t enough time for me to save my pennies. SAD FACE. However, the guys over at GOSH learned of this, and SO very kindly decided to send me a goodybag of all the new SS17 products, and more! Wow. I felt so, so grateful, and kind of surprised they even cared. 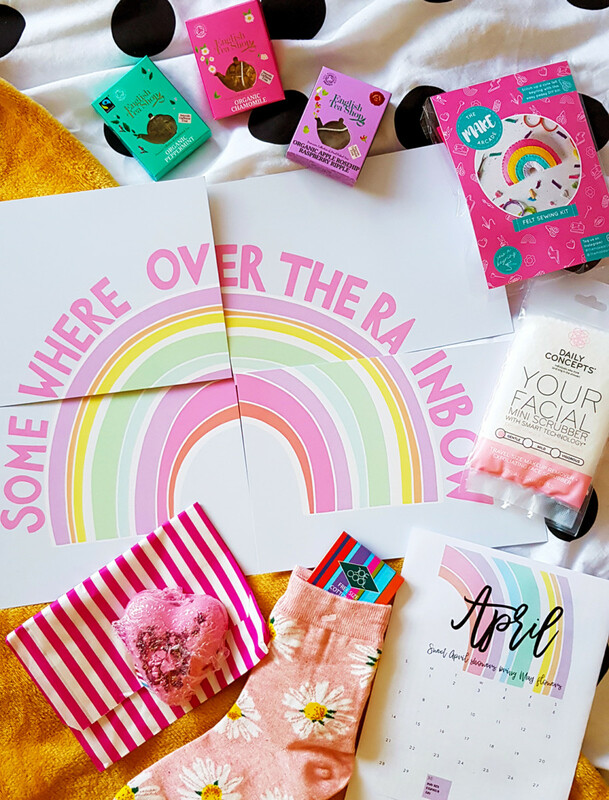 When my huge box of goodies arrived, I was over the moon! There are so many products we need to talk about today. I’ll try not to ramble on too much, but do forgive me if I do because I am SO, so happy with the selection! 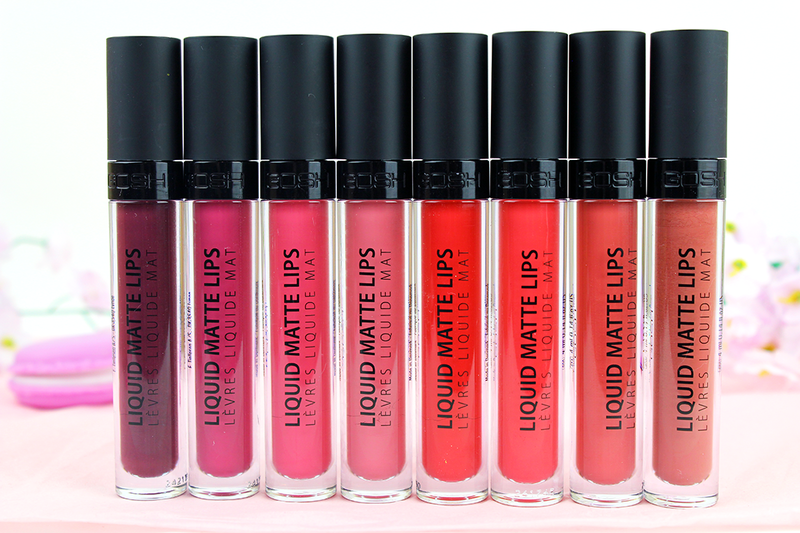 Let’s start with my favourites; the absolutely wonderful selection of matte liquid lipsticks. From left to right; Arabian Night, Berry Me, Pink Sorbet, Candyfloss, Red Carpet, Chinese Rouge, Nougat Fudge, Nougat Crisp. 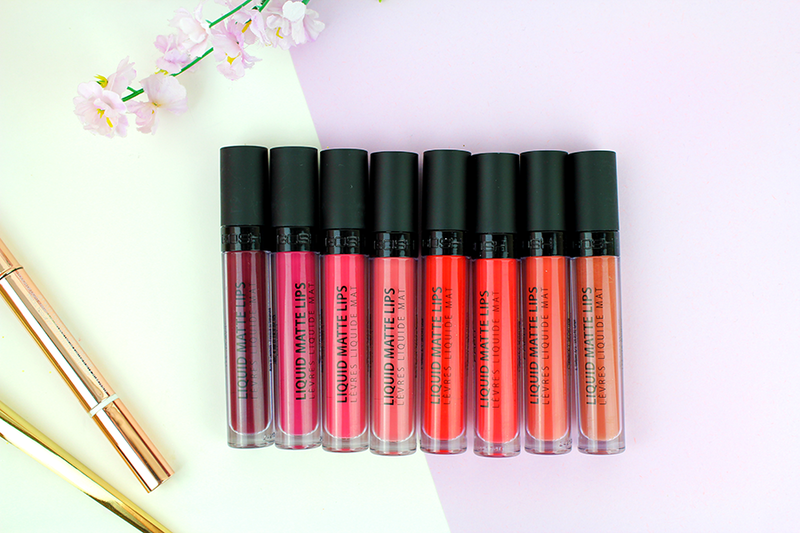 The quality of these is just perfect; applying easily, with rich, beautiful shades, setting into a matte look but without drying out my lips, and lasting power that matches my Anastasia Beverly Hills liquid lipsticks, but for much less in price. My favourites are probably Arabian Night, Berry Me and Candyfloss, but it’s SO hard to choose! I’ve been switching between them and I truly do love them all. At Superdrug these are only £8.99 AND you can get two for £10 at the moment, so be quick! I was also kindly sent the Eye Xpression 001 Back To Nature Eyeshadow Palatte, two beautiful Lumidrops blushes, a range of CCC – Contour, Cover, Reveal crayons, Giant Pro Double Liner, Giant Pro Kajal, Infinity Eye liner, and the Volume Serum Mascara. Phew! 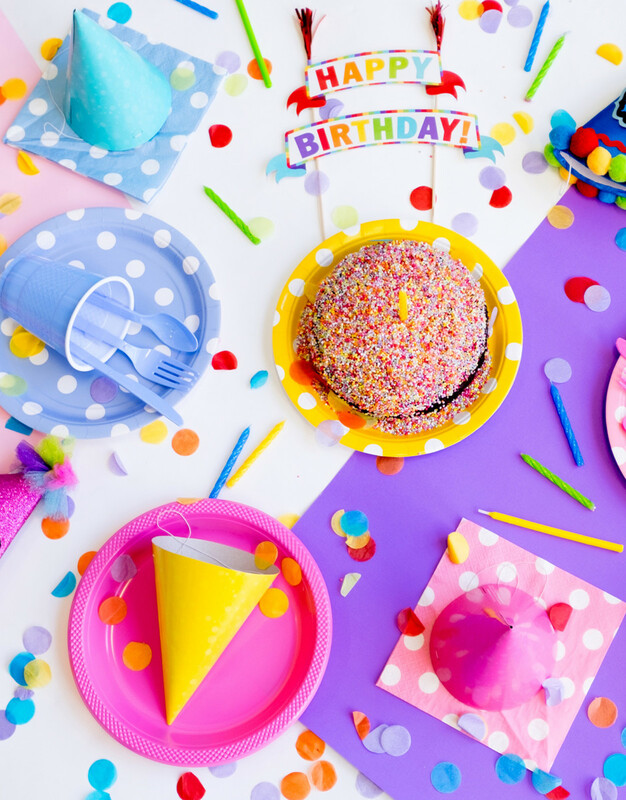 Loads of amazing goodies. The eyeshadow palette is perfect for day to day wear; creating an easy range of looks, from natural to smoky. The lightest shade is a pretty shimmer that could SO easily double as a highlighter, which makes this even more versatile. The other three shades are matte, and easily blend together in a creamy soft texture. Also good to note this is suitable for vegans and vegetarians! I was overjoyed when I seen the Giant Pro Double Liner and Kajal had been included, because they’re just as amazing as I hoped they would be! The double liner is a 2 in 1 liner with a deep black ink and creamy black kajal, for ultimate options to create the perfect eye look. Whether you want something subtle and smoky, or striking and graphic; this product makes it SO so easy and is a handbag must have. It has a super soft texture, is easy to blend, and has a fantastic colour pay off. 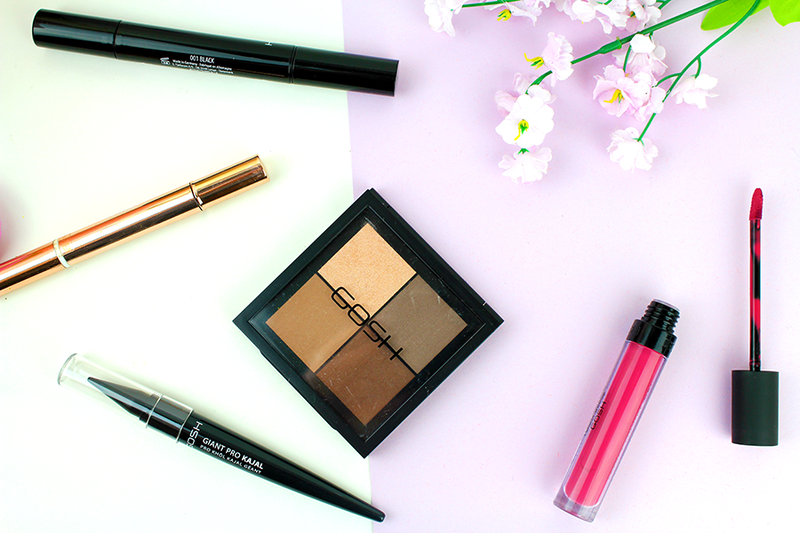 The Giant Pro Kajal is one of my favourites from the new GOSH SS17 range too, because it has a great, big, chunky and silky soft kajal eyeliner, for easy use and long lasting wear. With natural waxes and oils, it’s so soft that even the most beginner of eyeliner users will find this easy and satisfying to use. One of the most surprising new products for me personally, was the CCC crayons. With such a variety included, it’s easy to create the perfect flawless complexion. They help lighten my dark eye circles, they highlight my cheekbones and brow bone wonderfully, and they contour areas I want to define. Simply line and blend, even easy enough for anyone new to makeup! 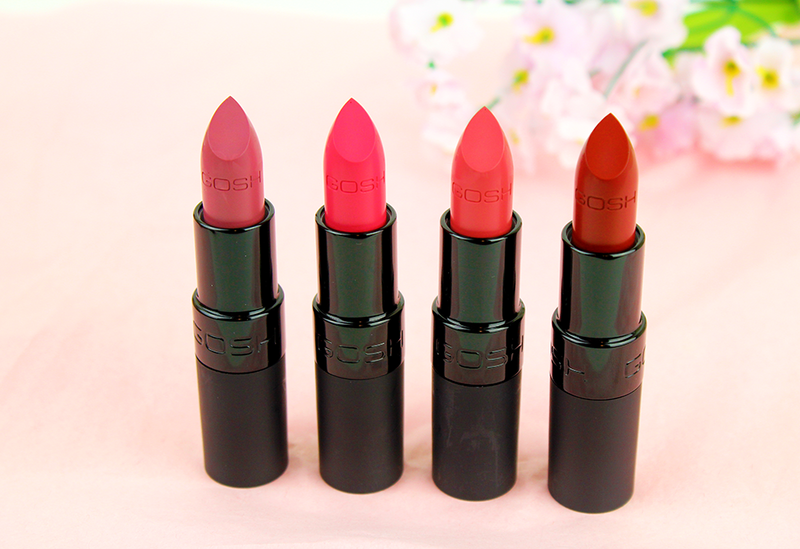 I also have to say a HUGE thank you to GOSH for including my absolute favourite lipsticks in the world – the Velvet Touch matte range. 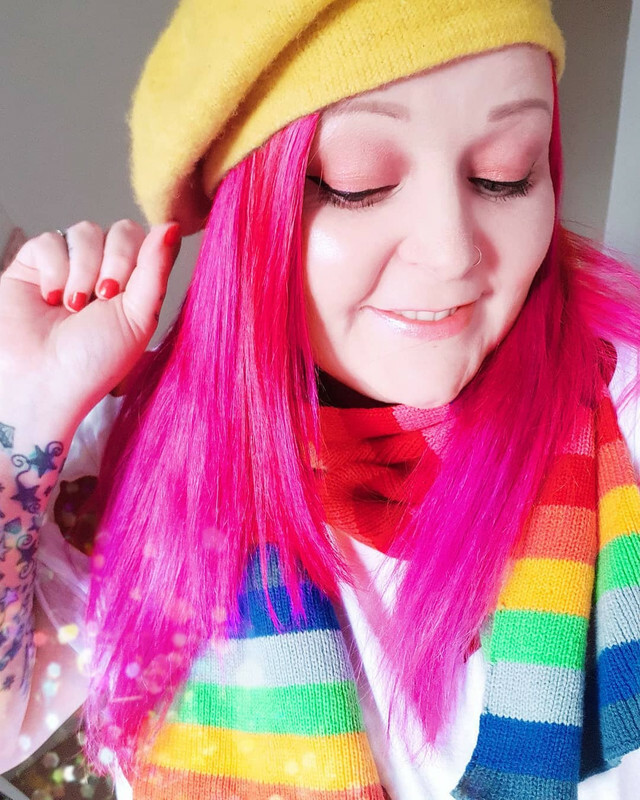 If you’ve followed this blog for a while, you know I’ve raved about GOSH lipsticks FOREVER, they’re simply my favourite, I can’t get enough of them. So when I found some new shades to add to my collection, I did a little squeal! From left to right; 010 Smoothie, 020 Pleasure, 019 Angel, 008 Plum. 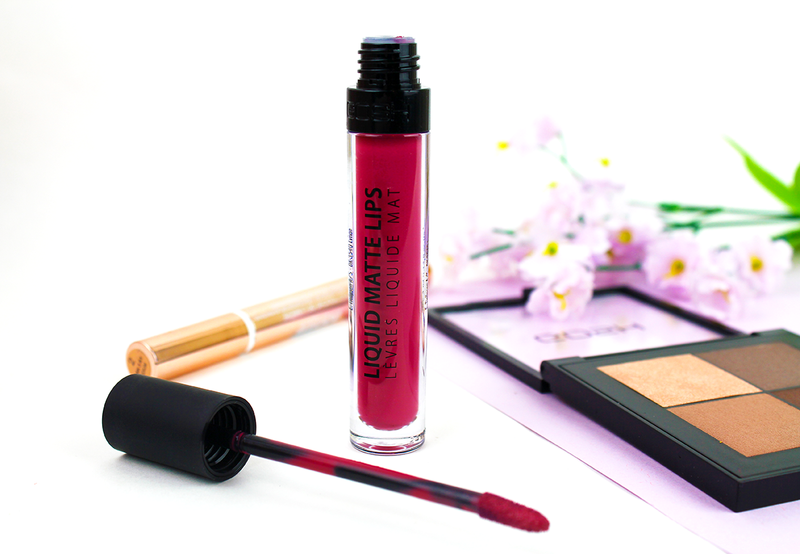 The creamy formula ensures this lipstick applies smoothly and super easily, giving an even and intense colour result. 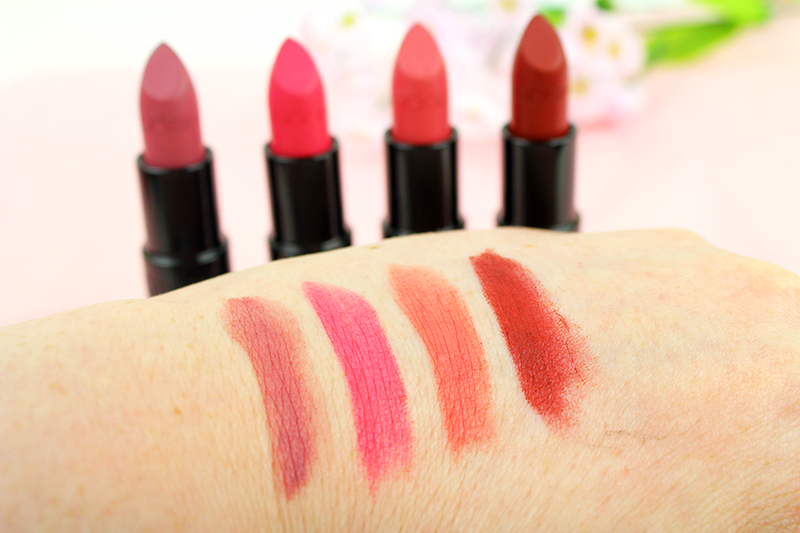 They last for hours without budging and leave lips nourished and soft even with this matte range. It’s so hard to choose a favourite, but I have noticed I’ve been wearing more of Smoothie than anything, so probably that one! 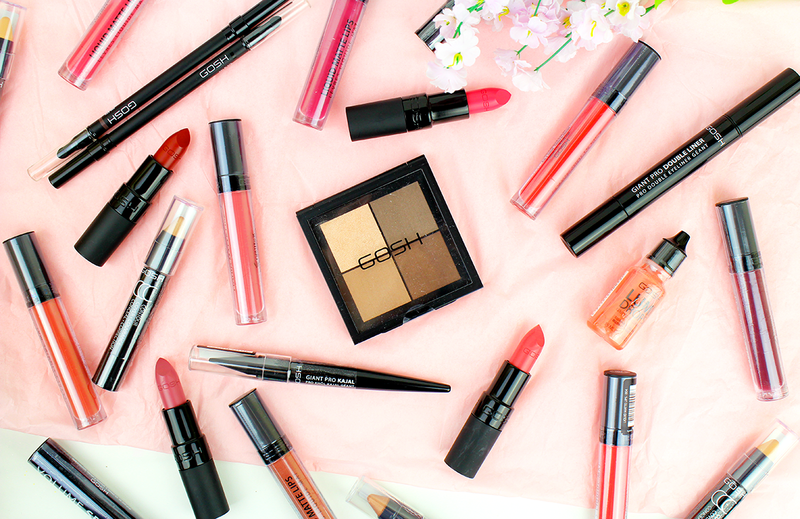 Guys, seriously now – you need to try GOSH lipsticks if you haven’t before. I fell in love a few years ago, and never looked back. It actually baffles me how they’re so good in price for such amazing quality. I’ll stop rambling now. I’m sure I’ve made it clear that I’m intensely excited by the new SS17 range, and GOSH have once again knocked it out of the park. Everything about this new range screams Spring for me, they’re subtly moving from darker tones to something warmer and infused with colour. All the while creating a range that’s suited to any skin tone and preferences. What do you guys think? Will you be trying the GOSH SS17 range?